When, many years ago, our country has fallen to a terrible disaster, which was called the "bloodless revolution", then as soon as you know, those who seized power unlawfully, have targeted primarily on the Church of God. Rightly pointed out by a preacher, at that time, especially in the early years of the revolution, Russia has been at Calvary, and the Russian Church on the cross! In order to encourage and comfort the believers, the Lord sent miraculous sign, which is not known by our ancestors. In Russia has begun renewal of the icons; when old, very faded icons have suddenly started to shine with light, as if they just were painted. It started from there, and then the wave came around to us, to the Far East. And there, in the city of Harbin, I remember how happily excited was Russian Orthodox Harbin (and there were 75,000 Orthodox people at one time - the whole city), how Russian Orthodox people were excited about that amazing miracle that happened. The young Bishop Nestor founded the "House of Mercy," in which children were looked after, and old men and old women. House of Mercy was in need, it was difficult at first. And then a miracle happened. This icon, in front of which we are now praying, was then a black-board: it was impossible to tell what is on it. Not the sacred figures, and inscriptions were impossible to understand, it was - black, sooty, oily board and nothing else. In course of the day this icon was renewed, and shone like new! Now, as you can see, you can decipher everything on it, and many decades have gone by. And that's when the Russian Orthodox Harbin reached to this icon and the image of the Mother of God "Joy of All Who Sorrow" was one of the great and holy relics in our favorite city of Harbin. There have been undoubtedly related phenomena of marvelous grace of God. One girl was dying, hopelessly ill, and she was completely healed and recovered. Man has lost the most necessary documents for travel. There were no human ways, impossible to think of ways to find them once again. But the Mother of God, to whom they prayed came to the rescue and unexpectedly they found that which was lost. Russian people love to pray before this image and not without reason; this image is called the Mother of God "Joy of All Who Sorrow". There are enough sorrows at the present time. Everyone has them, and blessed is he who in faith appeals to her - the Joy of All Who Sorrow, Mother of God, for She will certainly hear our prayer. 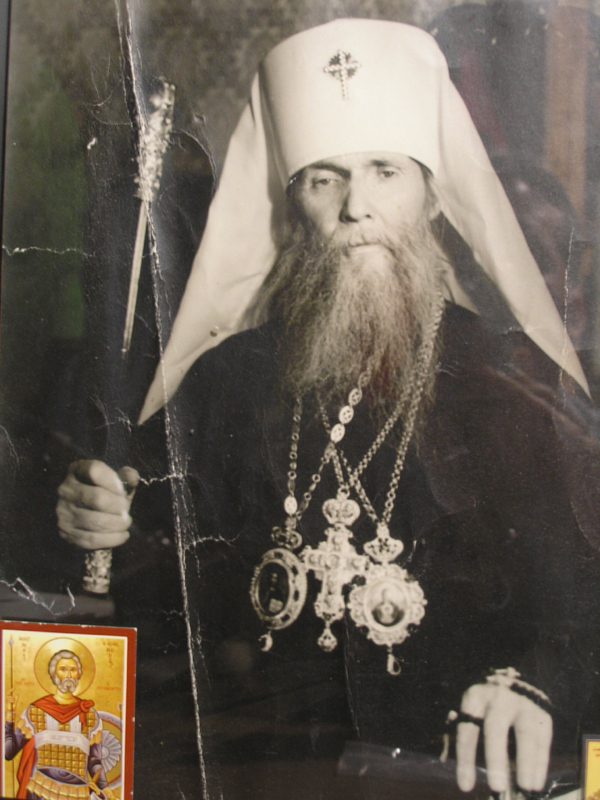 Father John of Kronstadt once wrote in his diary: "When you start to pray to the Mother of God, firmly believe, do not doubt that you will be heard and you will!" And so it is always when a person believes and is appealing to Her. He receives from Her the beneficial help because She is the Mother of the Christian people. Amen.